Brand a Greenwood Journal and make it personal to your company. 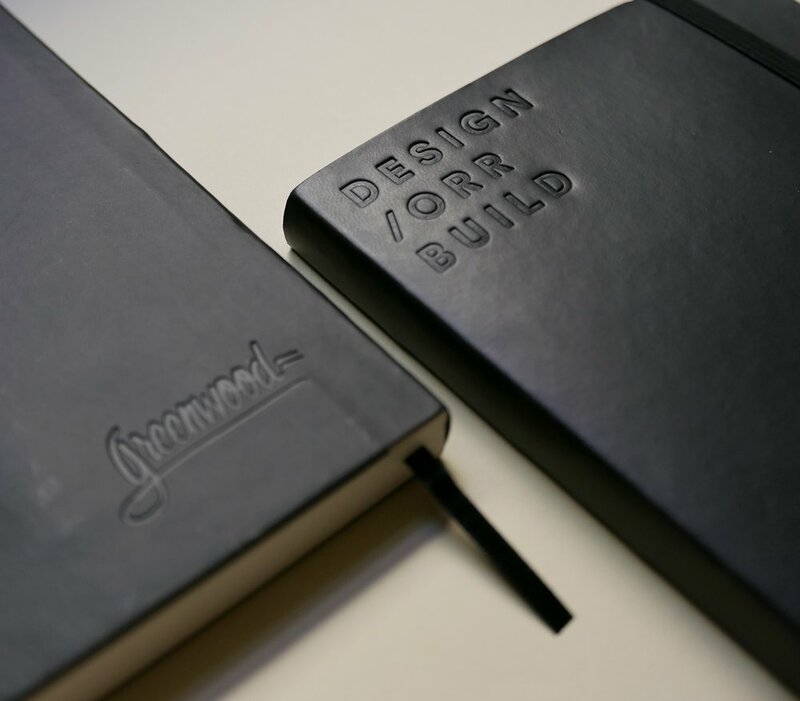 Debossing, or blind embossing, is one of the most popular ways to brand our journals. We do this by creating a custom brass die of your logo, and then press it into the surface of a Greenwood Journal. Leaving a beautiful custom mark of your logo or design. Fill out the form below and we’ll be in touch with a quote. Business Black or Forest Green? We'll be in touch shortly with a quote and any follow-up questions.